After you come home from work, release your stress with a relaxing dip in the heated swimming pool. Lounge chairs and tables surround the pool and are great spaces to gather for a weekend barbeque. Before you bring your coworkers and friends to the apartment, share a round of beverages and snacks in the resident lounge. If you are looking to get in shape this season, head to the twenty-four-hour fitness center and use the modern weight and cardio equipment any day of the week. The Union at Lyndhurst is a pet-friendly community with pet stations throughout the property. 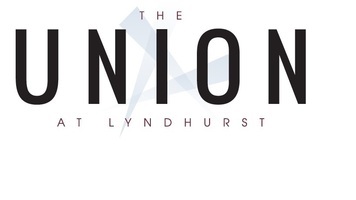 Enjoy a collection of upscale amenities when you choose The Union at Lyndhurst. Located near Routes 17 and 3 with easy access to New York, this community features a variety of amenities that will spark the interest of all residents. Come inside and experience life in these comfy Lyndhurst apartments. Pet policy: We welcome 2 pets per apartment home. There is a non-refundable pet deposit of $500 per pet. Pet rent is $50 per month. There is a weight limit of 75 pounds per pet, and aggressive breeds are prohibited. Parking Comment: $125 monthly for first space which is a garage space on level of living and $50 monthly for 2nd space on 5th or 6th floor of garage.